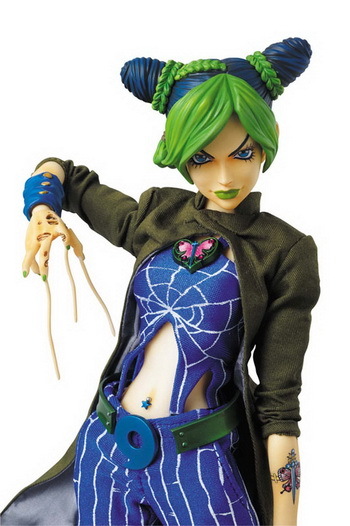 September 26th, 2010 By: GGT Category: 2010/12 release, Figure News. 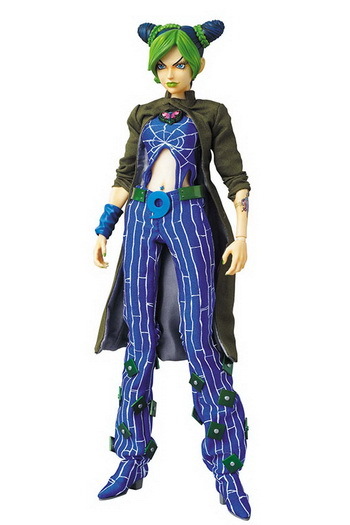 Medicom Toy is going to release the Real Action Heroes 508 Jolyne Kujo ( 空条徐倫) 30cm doll from the manga series “JoJo’s Bizarre Adventure Part 6” ( ジョジョの奇妙な冒険 第六部 ). 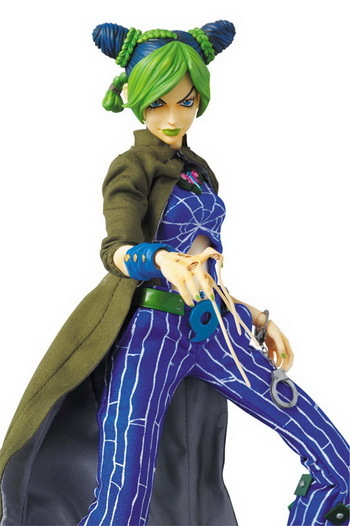 Will be released in December 2010. 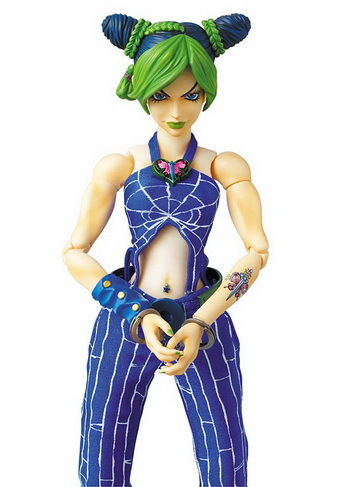 Around 300mm tall, 17,800 yen. 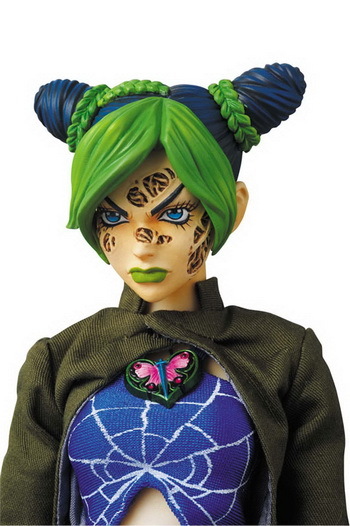 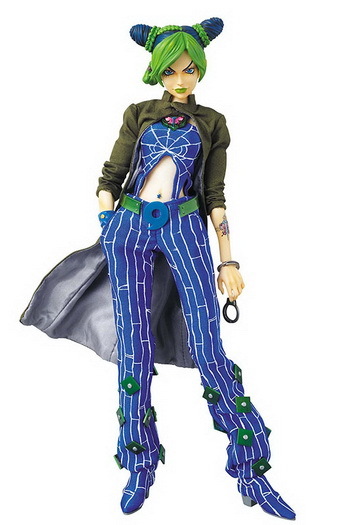 The sixth release in the Jojo’s Bizarre Adventure series is Jotarou Kujo’s daughter – Jolyne Kujo Packed with two interchangeable heads both featuring her trademark hairstyle and her arm parts have been created especially for this figure! 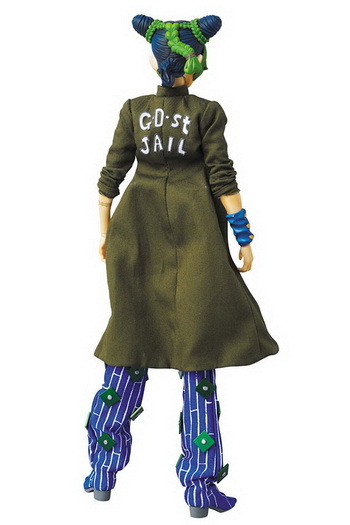 Her clothes have been meticulously recreated, featuring a delicate web pattern reproduced with silk screening, and she even includes her G.D.st Jail Overcoat! 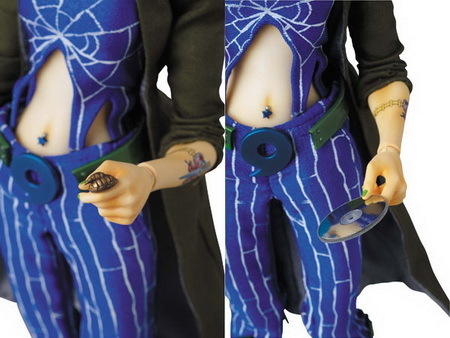 Handcuffs, pendant and DISC parts are also included along with a figure base!